Not often that I give away images for nought. 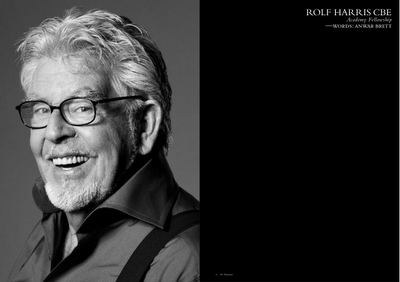 However, the BAFTA brochure people needed a recent image of our Rolf, and who am I to say no. Thank gawd he was lovely. 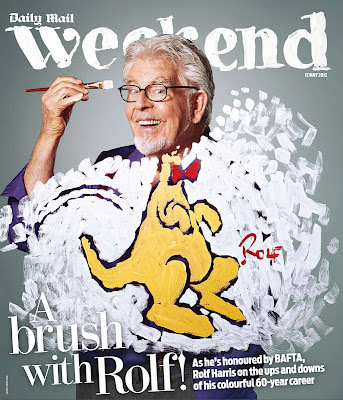 My second shoot with our Rolf Harris, and again, a chance to watch the master in action with his brushes. Nice that the magazine bent their ideas round to my version, which is tricky to light. 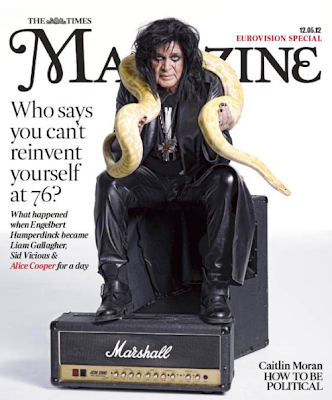 6 weeks on from an unusual day, I can now at least reveal 1 of the 4 covers shot for the Times Magazine of our Hump dressed as iconic Rock Stars. 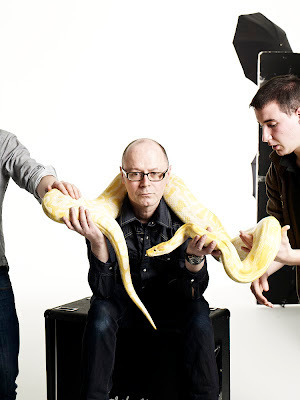 What a strange day it was, especially trying to convince him to put a real 10ft python round his neck. Initially he said no, so I ignored my own horror, and draped it round mine to prove a point. We got 4 frames.